Dog attacks are traumatic and in some cases, tragic events. Tell a dog owner that his dog is dangerous and you will probably get rebuffed. The sad truth is that some dogs, like their wolf and jackal relatives, are prone to aggressive tendencies. Should you rub one up the wrong way unwittingly, the consequences are disastrous. But we firmly believe that all dogs can be trained to be disciplined and balanced. It is only when these dog breeds are untrained that they launch unexpected attacks. Here is a list of 33 dog breeds that display their fighting spirit, physically, if they are provoked. Note that these most dangerous dogs, like all others, are friendly until a stimulus triggers their hostility. The list begins with the Tosa Inu, or Japanese Mastiff, a large, fawn coated dog originally bred in Tosa, a region in the Kochi prefecture of Japan. Breeders crossed bred him with large, European dogs until they came up with a hefty, strong dog that could trump others in fighting competitions. Though fairly mild in appearance, the Tosa Inu has made it to the top of the list of fighting dogs. Law enforcement agencies rely on his strength and agility. The Tosa Inu’s bite and might are deadly. He can, and has been known, to kill. In 2006, one killed eight-year-old Moscow native, Dasha Kuropatkina. When not provoked, the Tosa Inu is a gentle, quiet dog. He has an even temperament, and when exposed to social situations, is wonderful with children. This said, this formidable dog is not for everyone. He must receive proper obedience training, especially leash training, since he tends to tug. Do not trifle with this Italian native. 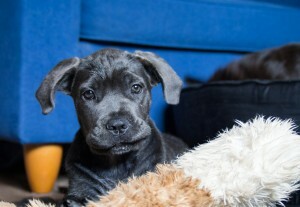 The Cane Corso, or Italian Mastiff, has a big bite. This fawn or dark coated dog descends from the Canis Pugnax, used in Roman times for warfare. He served as a capable assistant to wild boar hunters, and helped farming families guard their livestock. Many continue to use the dog for this purpose today. A Cane Corso’s bite is punishing. In July 2014, two Cane Corsos attacked helpless jogger Chris Systma on a dirt road in Metamora, Michigan. The Michigan courts have removed them from their owners, Sebastiano Quagliata and Valbona Lucaj. A close relative of the English Bulldog and the English Mastiff, the short-nosed, brindle-colored Bullmastiff cuts an imposing figure. The wardens of English manors used these dogs to guard estates. 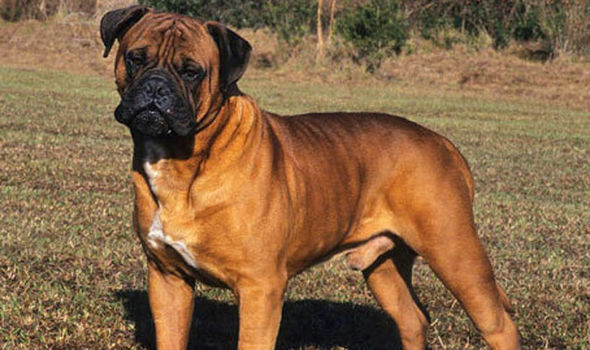 The Bullmastiff helped them to protect the estates’ animals from poachers. His brindle coat served as an effective camouflage at night. Bull mastiffs become wild when not supervised. 60-year-old Kathleen Dagg, who tried to stop one from digging in her garden, was savagely bitten to the bone. This relatively quiet dog is a loyal and responsive fellow when he receives enough exercise. Do not push him too hard, as he is susceptible to joint injury and other orthopaedic problems. Sensitive, he is highly trainable. Watch this Bullmastiff training. To prevent any aggression, teach your bullmastiff social skills early. If he interacts enough with people and other dogs, he will become attuned to social situations. A Pakistani breed, the Gull Dong (Pakistani Bull Dog) is rare. His white coat is short, simple and nondescript, but he certainly knows how to make his presence felt. A cross between a Gull Terr and a Bully Kutta, the Gull Dong is a popular protection dog in Pakistan. According to lawyer Mike Morse, he is one of the most reported dogs in dog bite cases. Like other mastiffs and bull dogs, the Gull Dong is not a noisy breed. Many know him for his affectionate temperament. This dog will guard his owners with his life. He needs daily exercise. When training him, set yourself up as his pack leader. He is an obedient dog if he has a good rapport with his owner. 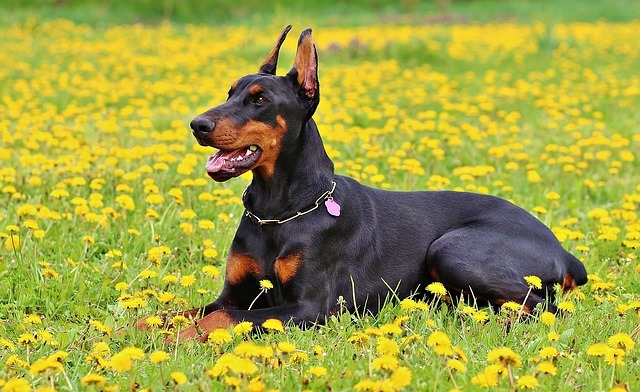 Developed in 1890 by Karl Fredrich Louis Doberman, the Doberman Pinscher is a mix of different breeds. These include the Great Dane and the Rottweiler. He has a black coat, brown paws and a brown muzzle. The United States Marine Corp adopted the Doberman as its official war dog in World War 2. Kurt is a famous Doberman who saved the lives of 250 marines when he warned them about nearby Japanese soldiers. Mortally wounded by a grenade, he was the first dog buried in the US war dog cemetery. He is the dog depicted sitting alertly on top of the cemetery’s War Dog Memorial. Devoted though he is, the Doberman tops nearly every list of ferocious, aggressive dogs. He was responsible for 9 mauling deaths in the United States between 1979 and 1998. It is highly responsive to attack training. This said, the Doberman is not likely to turn on its owner. He is obviously a highly skilled guard dog, but is also loyal and affectionate. With proper exercise and social training, he is a wonder around children and other pets. The Dogo Agentino has brawny muscles that give him a stoic, impressive appearance. He was bred in Argentina by Antonio Nores Martinez, who wanted a dog that showed courage and would protect its owner to the death. This white-coated dog was first bred for hunting, so he has a hunting dog’s uncanny, fierce instincts. A Dogo Argentino in Oklahoma attacked three children as they walked home from a church service. This dog is an intelligent breed that is easy to train. Law enforcement agencies rely on him as a protection dog. With a keen nose, he is also used in search and rescue. And here they are pictured in pig hunting. 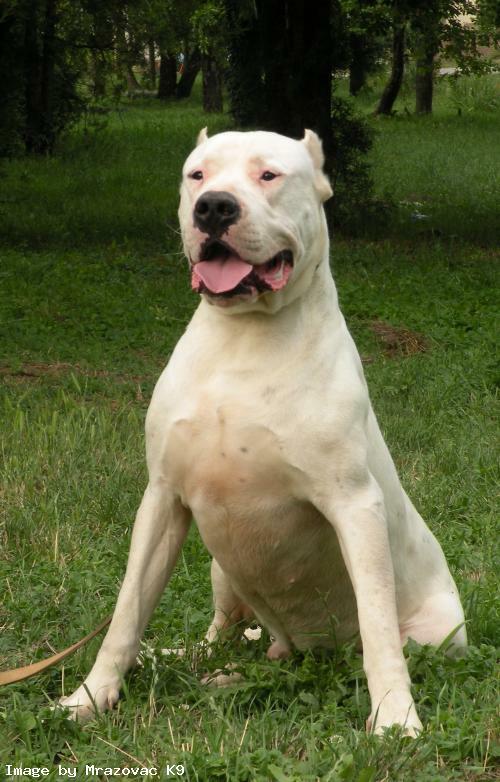 When Martinez bred the Dogo Argentino, he realized that the dog had to have social skills despite its fierceness. The Dogo Argentino does much better in social environments than many hunting or fighting dogs. Again, he needs regular exercise and social training. The German Shepherd Dog(GSD), a renowned breed, is a dog synonymous with bravery, faithfulness and of course, instilling fear. First bred in Germany, farmers used him to gather and guard their sheep. Not surprisingly, this dog becomes aggressive when anything stirs his protective instincts. Some GSDs, though few, have turned on their owners. 13-year-old Iona Manson, from Birmingham, had her face torn by her GSD puppy, Fidden. In spite of the attack, she is not deterred from loving dogs. She is still close to Fidden’s brother, Bracken. German Shepherds may become dominant. Most have even, confident temperaments and rank among the world’s three smartest dog breeds, after the poodle and border collie. Keep your German Shepherd’s dominance in check with proper care. Being large, he needs regular, moderate amounts of exercise. He bonds tightly with his family and enjoys family activities like hiking, beachcombing or swimming. 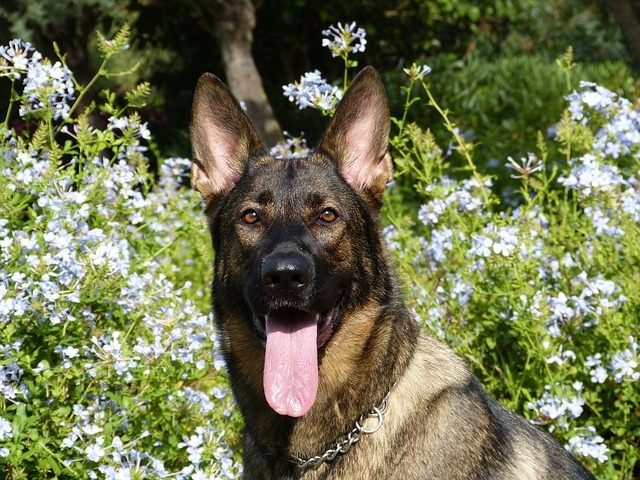 Many GSDs become protection or police dogs. 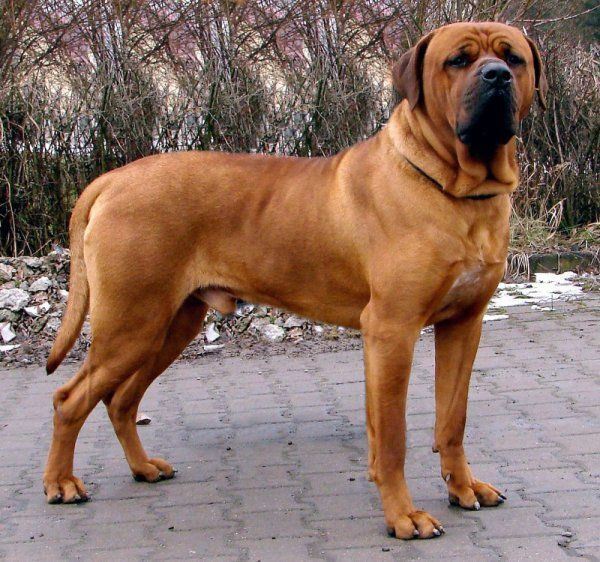 The Tibetian Mastiff, an ancient Tibetian breed, was a livestock guardian and shepherd. He still is. The tribes of Himachai Pradesh use him to protect their property from bears, wolves and leopards. Although he is a prized status symbol, many Chinese cities have banned their residents from owning him. They have good reason to. A woman in Miyun County, Beijing, had approached her neighbor for advice on shutting her leaking gas pipe off. 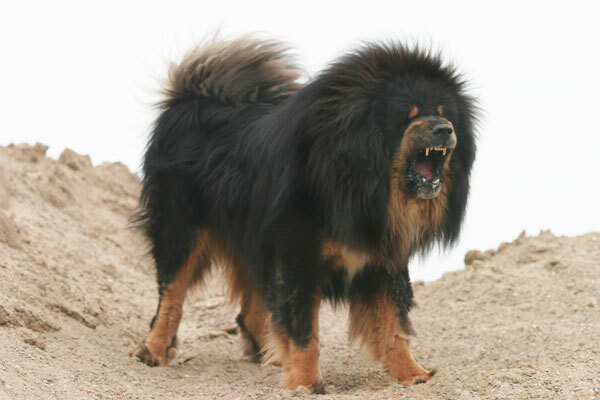 Her neighbor’s Tibetan mastiff attacked her multiple times, causing her to suffer from a brain haemorrhage. This dog needs the firm hand of an experienced owner who knows how to set boundaries. Introduce him to your neighbors and their dogs early. Engage him with exercise and activities, or he will become a destructive nuisance. If the Great Dane’s serious demeanour does not scare you, his sheer height will. The tallest Great Dane, measured in 2014, measured 112 cm from paw to shoulder. The English nobility bred this dog as a hunter. He can have a fawn, black or brindle coat. 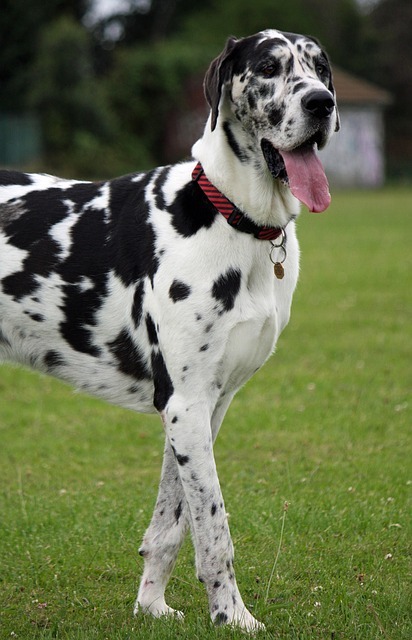 Some great danes have sleek, steel-blue coats. These dogs, if not trained, may feel threatened by external stimuli. Four of them attacked an eleven-year-old boy who was trying to feed them. His neighbor reported that two of them had attacked her dachshund. This defensiveness, and their sheer size, makes them intimidating. This said, owners prize these dogs for their friendliness. Rein in any fierce tendencies with social and obedience training from an early age. 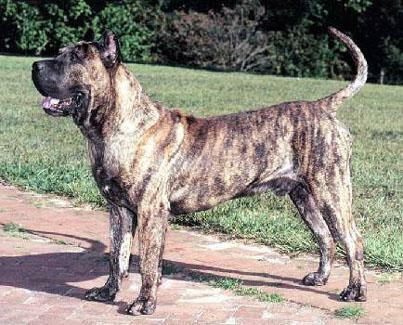 The Perro de Presa Canario, or the Presa Canario, is a Spanish native. Spanish farmers on the Canary Islands first relied on these fawn coated dogs to look after their livestock. The Canary Islanders also used them as fighting dogs. Their fearsome expression and short, brachycaphelic muzzles make them ideal for the role. They are known for attacks on people. The most famous case in point is that of Diane Whipple, a small-sized woman mauled to death by two Presa Canarios, Bane and Hera, outside her San Francisco apartment in 2001. Their owners, Marjorie Knoller and Robert Noelle, received jail sentences for involuntary manslaughter after a long debate on whether the San Francisco courts should treat the attack as a murder. To prevent his aggression, give your Presa Canario obedience and social skills training from an early age. If left unchecked, he can become wary of strangers and welcome them with a bite, instead of a lick. There are some things about what people say. One of them is leaving a pit bull alone with a young child or baby. That is not going to provoke this animal to attack. I have lived with pit bulls my entire life. And not once did they attach me as a young child. My sister grew up with a pit bulls. She pushed on the dog and pulled on the dog. Not once did the pit bull bite nip attack my sister. That said, it’s still NOT a good idea to leave ANY dog with a young child or baby for that matter. Too many factors which might include the young child teasing the dog or the baby just crying it’s tiny lungs out could cause aggression in any dog. Not all pit bulls are designed the same as each has it’s personality so your sister was very lucky as some might just bit her as she pulled on it’s ear or tail too hard. We can’t LUMP all pits together! By leaving a dog (any type) ALONE with a child or a baby might provoke the animal so it’s easier to just lock the pit bull away. Then take the baby, toddler or young child away from the parent if left alone for ANY reason with no babysitter or parent in sight! Take it to the bank as I have a SINKING FEELING you’re childless so happy ’bout that k? Alo Ha! No dog, regardless of what breed, family pet or loyal friend should ever be left alone with children. You as their parent are their protectors and playmates. Please do not expect your dog to fulfil your parental duties. If more pictures were made available to the public of the horrific injuries made on children, I would like to think, we would all act more responsibly. I wrote almost exactly the same thing Cheryl so CHEERS!! No Child ever nor a toddler not a baby should EVER be left alone at home by themselves much less with a dog of any breed. Too many times parents think they could dash out to the store for instance so what if the house burned down? Take your baby, toddler your young child with them to the store like I did as a single mother from birth. You made me laugh with your parental dog duties of raising a child huh? Really, Darwin’s Theory isn’t a theory! Thanks Cheryl. My nephew got bit my our family’s pit bull after teasing it in his 20’s so dogs of any breed should not be placed in a room with a young child, toddler or baby ever! It’s not the fault of the dog it’s the owner’s fault who is the parent also that is not much of one huh? Teasing or even crying their lit’l lungs out could trigger an attack even by the family pet so watch your children YOURSELF. Less than two weeks ago I was attacked by a vicious dog & bit several times…whether it’s pitbulls OR large vicious mix breed dogs, they all have teeth & can do serious injuries. I owned a beautiful girl pit bull named “Lexi Star” she never bit anyone BUT she was VERY protective over my 9 yr old son. I do believe IF someone had of hurt him she would of definately attacked for my son…her best friend. Some black man that I turned in for beating his 8 German Shephard, two had to be put to sleep for skull injuries, got out of jail & poisened our dear “Lexi Star”…RIP Lexi, we loved you dearly. I am so deeply saddened Cheryl M. for your tremendous loss of Lexi Star. RIP That’s tragic! OMG!! Very upset even in Hawaii most are cats that are poisoned or trapped then dumped which I lost five of ’em. I will be careful as I’m getting a NEW pit bull puppy with these Neighbors from Hell. I feel for you so the black man poisoned your pit bull after you complained? This is INSANE!! Such a huge loss for your young son & yourself my heart goes out to you Cheryl. I am DEPRESSED just reading your words & hope to God you have a TRO on this criminal to land him back in Jail. You lost your BFF along with your son’s BFF so terrible! After moving to Hawaii from Florida I can actually say I HATE the people in Kona, HI not Oahu. Mostly some locals & the Evil Spirits no Aloha Spirit older than dirt Cali. GEEZERS that trap & kill someone’s pets now up to 37+ of ’em. Humane Society Officer does NOTHING here in pair of dice so I pray to God they leave us alone with a Gotty (part) pit bull coming to the Big island of HI that won’t be so friendly! Lol – Who described a Rhodesian Ridgeback as ugly? They are one of the most beautiful dogs. Rottweiler not included in this list. Felt a bit disappointed to see the Bullmastif as third on the list. My Bullmastif Tommy is my registered Assistance dog!!! “Rescue” dogs are frequently emotionally unstable. they will NOT be safe to adopt as pets for your family, even if very young. They have been selectively bred for hundreds of years to be tenacious and relentless killers. turned on their owners and/or their children and other pets. (this also applies to the other “bully” breeds). This is a tragedy that humans have created through genetic selection. when around these animals, even if they appear to be very tame. They can be “triggered” – for no apparent reason – in an INSTANT. The amount of idiocy in these comments are insane.. You are talking about humans not dogs.. Ive been around tons of pits, germans etc.. Never have i ever had any of these bs comments talking about. I have plenty of friends and family that leave and have let their children home with the dogs just fine etc. You are responsible for teaching the dog as well as the child. Its very rare a dog attacks for no reason. Very rare normally due to something medically or the people dont want to admit they caused the problem. All the dogs ive been around you could push, pull, grab their ears etc. They didnt do anything because of responsible owners doing what they are supposed to do. Wasn’t Petey on Our Gang a Pit Bull? I’ve had many and I have always found them the most tolerant around people and kids. On the other hand, if a kid pulls and messes with a cocker spaniel they get nasty as well as other smaller breeds. Don’t think just size has to do with damage to a person or child. There’s a lot of misleading information about the nature of these dogs. Nurture in this case is the deciding factor for aggressive behavior, not nature. It does not matter what animal you are, genetics works the same and attacking your family is not in genetics. Chihuahuas are a great example of how neglective training can lead to aggressive dogs, and I have had babies around the kindest dogs which were pit bulls and huskies. Of course, instinct is real but that will not determine how your dog WILL behave. I have owned several dogs, both purebred and curs. By far the best family dog we ever owned was a GSD/Standard poodle mix. He was brought into the family at 5 weeks due to his dam being killed after escaping her pen and being killed by a car. We went to pick up the puppy. My wife took a box to put him in. He would not fit the box, which was the best thing that could have happened. This was the first time he had been separated from his litter mates. She held him for over an hour on the way home, He imprinted on her, and was her guard dog. We had two children at home, five and three.. He never bit either of them, but he had them believing he would. He taught them respect for dogs, and no stranger could approach them without an introduction. During the day, if anyone was outside he would come to one of us adults and growl, but at night if there was a prowler, he would nudge one us awake and growl low. We always figured he did that so he would not alert them and he would not get a chance to bite them. He was fine with visitors if introduced, but watched them for any overt move. The dam of this dog was mild mannered, but the poodle was vicious. He was a guard dog at a car dealership, and a burglar made the mistake of trying to get in. Seventy some stitches later he got out of the emergency room. I was unsure about putting the pup with the kids. Those were his kids, and If they needed a spanking the dog had to be locked outside. He would come through a hollow core interior door. Ive had more small yappy dogs try to bite or nip than any of the large breeds. i’d trust an unknown larger breed dog over a chihuahua or pomeranian any day. I used to work in a shelter, most animals that came in were frightened and confused because all of a sudden they had thier family and home taken away from them. all needed an ajustment period to get used to the shelter. many a dog of cat are withdrawn and hiding in the cages, but take them outside on a leash, spend a little time with them, thier personality will start to show. By the way, the “pitbull” breeds were known as “nanny dogs” in the early 1900’s as they were good babysitters for children. “Petey” from the “Little Rascals” was a pittie.